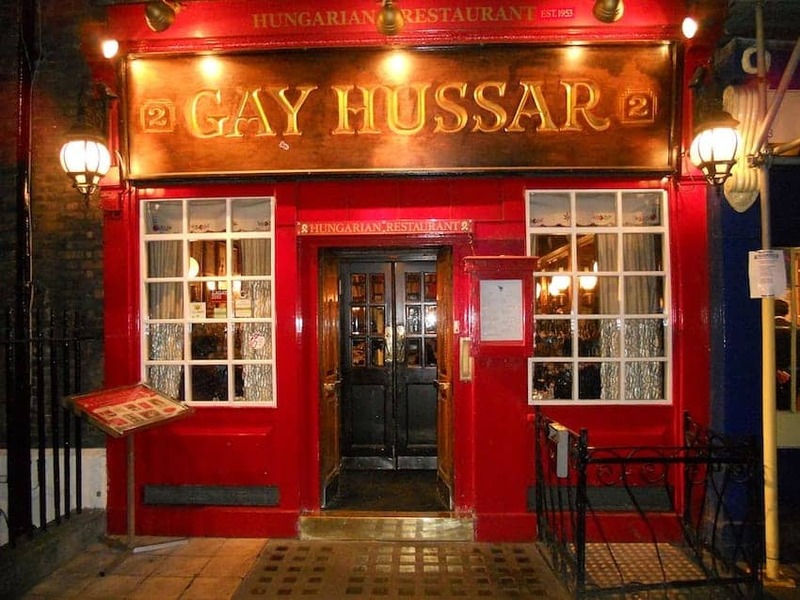 The Gay Hussar is a unique and intimate Hungarian restaurant serving national specialities and is located in Soho, London. It was founded by Victor Sassie in 1953 having served his apprenticeship at the Gundel restaurant in Budapest. Popular with politicians, journalists and artists, the restaurant was named in honour of the elite Hussars of the Hungarian army and is also associated with the popular Hungarian operetta, The Gay Hussars, by Emmerich Kálmán. A historic London destination with generous portions of quality food and impeccable service.